With the Electronic Wind Instrument USB, you can now play a range of woodwind, brass, string, synthesizer, percussion and other instruments straight from your computer. 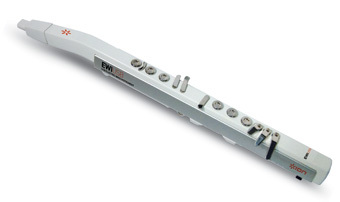 The EWI USB connects to your computer via USB and includes easy-to-use virtual sampler software loaded with instruments, which are immediately available at your fingertips. The EWI USB features touch-sensitive key buttons, pitch bend plates and octave rollers for an unprecedented playing experience.